…and thank you to all of you that helped me land on the Blendtec via twitter and facebook a couple of weeks ago…back to the story. Blendtec was so kind and sent me one! 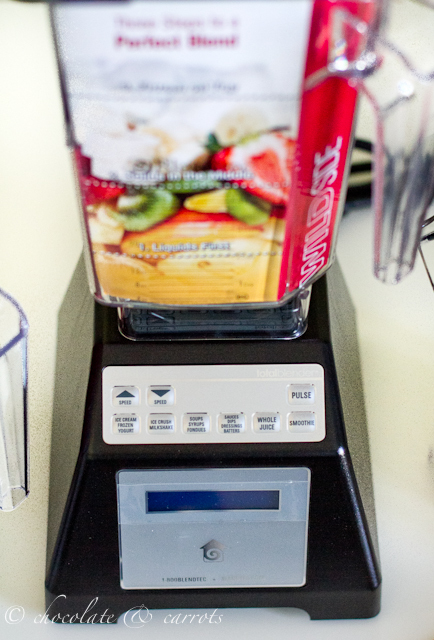 Be on the look out for some pretty spectacular recipes from our new Blendtec. 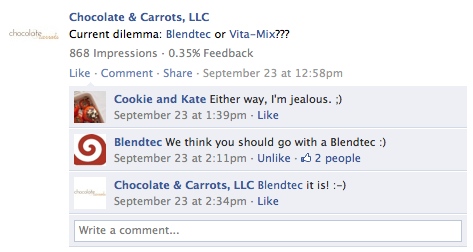 This post and all other posts using this Blendtec on Chocolate & Carrots is sponsored by Blendtec. 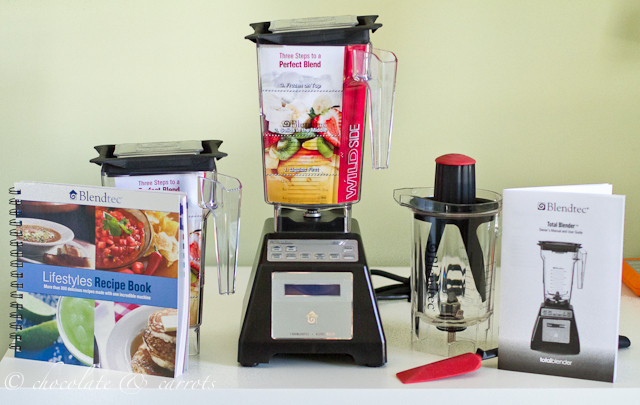 My opinions expressed about this product our my own and other than the complimentary blender, I did not receive any other compensation to review this product. Congrats. She’s beautiful. You must be proud 😉 Cigars for everyone? Congrats! 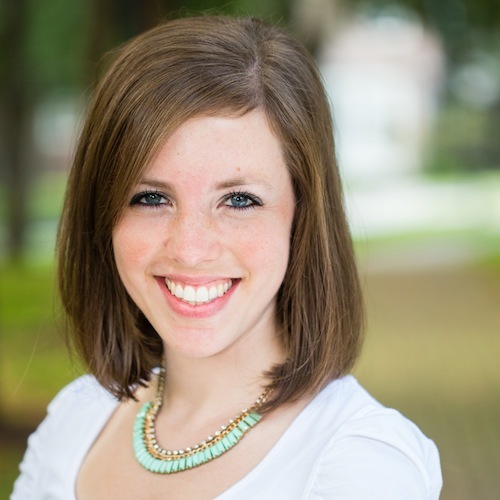 I’m excited to know what you think of it! No way! I want one! 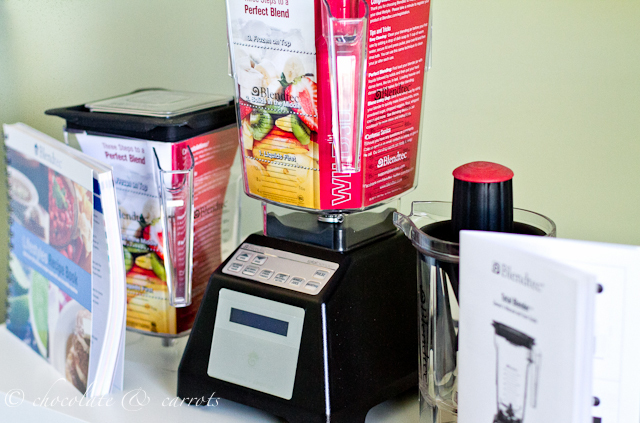 Ooh, this is such a great product, lots of smoothies. Enjoy! I’m interested to see how you like it, I soooo want one!